This Bull Elk is master of the herd. 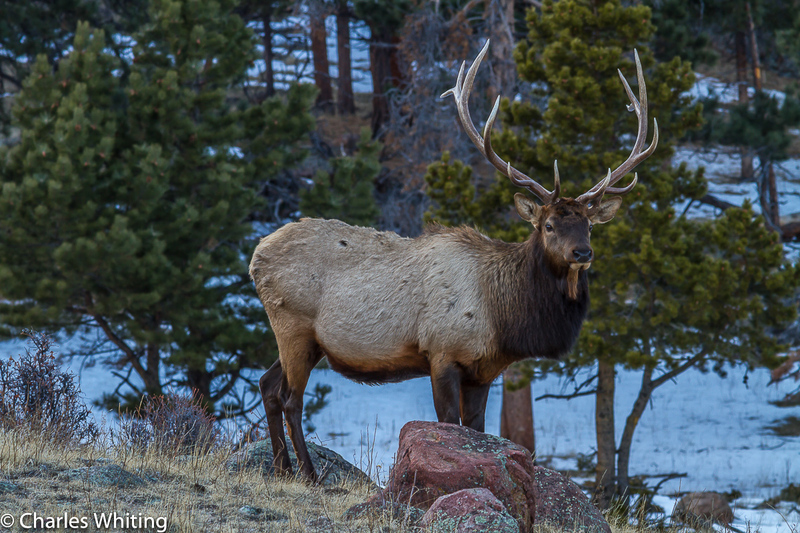 While the other elk grazed, he was attentive, standing guard. West Horseshoe Park, Rocky Mountain National Park. Photo © copyright by Charles Whiting.